Her year-long killing spree left seven men dead. But was she a cold-blooded killer or a tragic victim of violence and abuse fighting back? Was she born a killer, or made one? 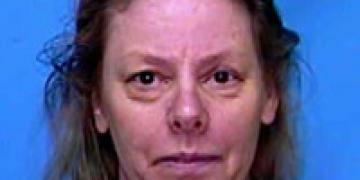 Aileen Carol Pittman was born in Rochester, Michigan, on 29th February 1956; the product of a troubled marriage between Leo Dale Pittman, a psychopathic child molester, and Diane Wuornos, a feckless teen mother quite incapable of the responsibilities of motherhood. Diane abandoned Wuornos and her elder brother, Keith, to the care of her parents, Lauri and Britta Wuornos, before she was 4 years old, and they adopted the pair and raised them as their own. Having been saved from one appalling domestic situation, the Wuornos children found themselves in another one less from ideal, if Wuornos’ accounts of her childhood are to be believed: her adoptive parents (in reality her biological grandparents) kept their true status a secret, and Lauri Wuornos was an abusive parent, both physically and sexually, while his wife Britta was an abusive alcoholic. The children only discovered their true identities when Wuornos was about 12, which served only to worsen an already unstable domestic situation. Wuornos claims that sexual contact with both Lauri Wuornos, and her brother, Keith, occurred from a very early age, although there is no firm corroborative evidence for this. But her sexual precocity, from whatever source, is certain: Wuornos fell pregnant, aged 14, claiming that Keith was the father, and she was sent to a home for unwed mothers. On 23rd March 1971 she gave birth to a baby boy, who was given up for immediate adoption. Within months of Wuornos returning to the family home, her grandmother died of liver failure, a result of heavy drinking (although years later Wuornos’ biological mother claimed that Wuornos had killed her.) Her husband Lauri insisted that Wuornos and Keith be removed from his house, and they were made wards of the court for a short time, before Wuornos ran away and began a life of hitchhiking, prostitution and crime that supported her over the next four years. In May 1974 she was jailed in Jefferson County for disorderly conduct, drunk driving and firing a weapon from a vehicle. Two years later, in Michigan, she was arrested for assault and disturbing the peace, after attacking a bartender. Hitchhiking across America, Wuornos arrived in Florida and was presented with a potentially life-changing piece of luck: she met wealthy yacht club president, 69-year old Lewis Fell, who fell in love with her, and they were married in 1976. Wuornos soon reverted to type, however, and began fighting in bars, and was sent to jail for assault as a result. Fell was horrified; a brawling bride had no place in his high-society lifestyle, and he had the marriage annulled after a few months. Thereafter Wuornos’ life resumed its steady downward spiral: her brother Keith died of throat cancer in the same year as her marriage and divorce from Fell, and she blew his $10,000 life insurance cheque on a luxury car that she wrecked shortly after. Her destructive streak continued and, over the next ten years, she drifted aimlessly, still working as a prostitute, and committing various crimes that ranged from forgery and theft, to armed robbery and assault. In 1986, Aileen met 24-year-old Tyria Moore at a Daytona gay bar. The couple began a volatile and intense relationship that lasted for four years, and Moore was drawn into Wuornos’ cycle of vandalism, violence and harassment.